There are a ton of Pop Culture Conventions, actually just about every weekend in Northern California. Sometimes it is hard to choose which one to choose. 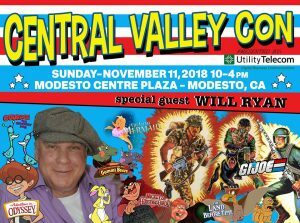 For a one day Convention, you cannot beat Central Valley Con. With so many options for an event to be successful, one has to consider a lot of details, and sometimes they might have to change the date. 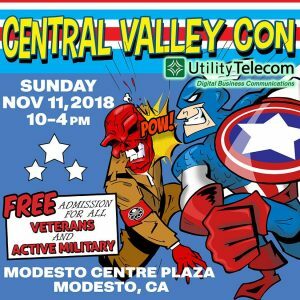 Because of this Central Valley Con has moved back a month to November 11th and being Veterans Day all service men and women along with kids under 12, get in free. 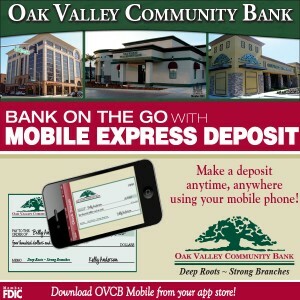 It will once again be at Modesto Centre Plaza and run from 10-5 pm. Advance tickets are $5 or $10 at the door day of show. As expected with any StocktonCon Presents events there will be a ton of great vendors with just about anything your geek spirit might be looking for from Pops to Comics, Classic Toys to the latest craze and everything in between. Also, they have one of the best Artist Alleys anywhere featuring some of the best local, and up incoming artists, you will find anywhere. No Con is complete without special guests and CVC has some phenomenal ones. 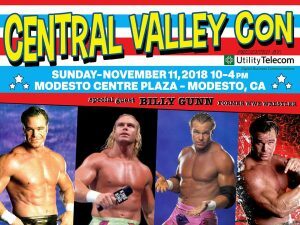 Don’t miss meeting with and getting something signed by WWE legend Billy Gunn from Power Rangers Kerrigan Mahan,, Voice Actors Katie Leigh(Darkwing Duck/Lego Star Wars/Mupet Babies) and Will Ryan(GI Joe/The Land Before Time), Scott Koblish, best known for drawing Deadpool to name just a few. Expect some great panels with many of the special guests to happen throughout the day. There is always a costume contest near the end of the convention so don’t put away those Halloween costumes just yet. There are prizes for both kids and adults and usually honorable mentions or judges choice.